Higher than average snow packs will lengthen rafting seasons for California’s top two Class V river trips. Two of California’s best class V whitewater rafting rivers will have longer seasons than normal due to larger than average snow packs. Both the Forks of the Kern and California-Salmon in Northern California are un-dammed, free-flowing rivers, which rely solely on melting snow to provide adequate water flow for rafts. The two rivers are often touted as the best class V runs in the West. Snow pack figures for the Forks of the Kern are at 120% of normal. “Our Forks season is dictated by the amount of snow in the southern Sierras,” Stephens says. 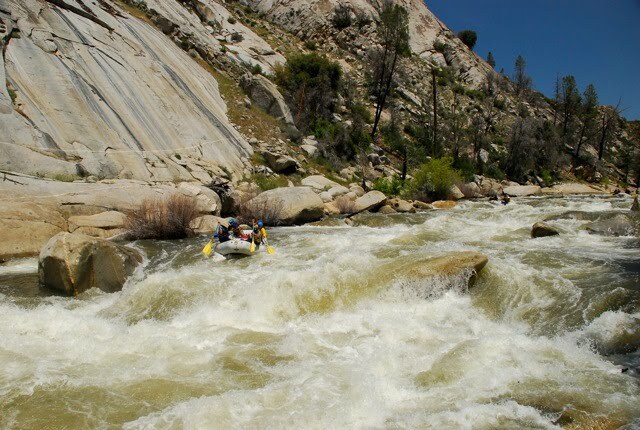 With the snow pack higher than normal, Kern River Outfitters has begun scheduling trips for as late as July 15th, about a month later than last year’s final trip. The California Salmon River is located in far northern California – one of the most isolated and wild areas of the state. Cutting between the Salmon and Trinity Alps, the river drains moderate-elevation, high-precipitation areas; including the Sawtooth Glacier, the only glacier in California’s coastal range. The run combines beautiful, lush coastal scenery, an intimate, marble-smooth, granite inner gorge, endless waterfalls cascading in, emerald-green waters, tons of wildlife, and amazing class IV-V pool-drop whitewater. 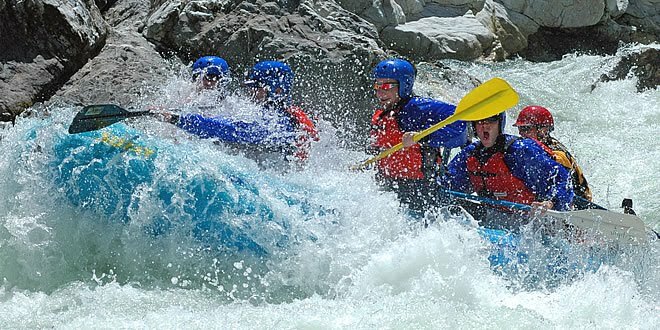 Momentum River Expeditions combines most Salmon trips with the rarely run class V Scott River, creating one of the ultimate class V adventures in the country. Snow pack is not measured for the Salmon drainage; however a good estimate can be made with nearby snow measurements and information from local rangers and backcountry users. Snow pack on the California Salmon is estimated to be around 200% of normal and local backcountry skiers are reporting more snow than they have seen in years. As a result of the high snow pack, Momentum River Expeditions expects to run Cal-Salmon trips into late June.